Following our yesterday’s piece on Einstein’s Wave theory and how LIGO (Laser Interferometer Gravitational-wave Observatory) in Livingston, released groundbreaking news that they have indeed proven this elusive theory. We had not yet been able to prove these disturbances in gravity hundred years since they were first conceptualized in 1915. Einstein himself rubbished attempts at proving anomalies of this kind as he believed there was no way they could be measured accurately. Well, your humble genius, this is the 21st century tell that to the 1-billion dollar LIGO project designed for the specific purpose of detecting these gravity waves.12 February is a dawn of a new scientific phenomenon that will dwarf the very concept of the Universe as we see it now! 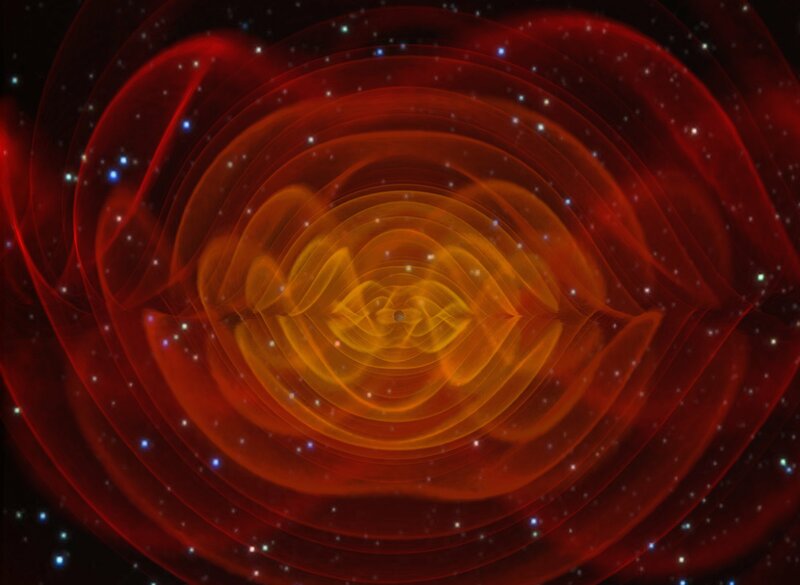 Scientists have been convinced of Gravity waves and their existence since 1974 when two astronomers proved it in a bizarre experiment on an object in deep space. Even though they somewhat succeeded in their attempt, the scientific community was still divided on their findings and ultimately decided to build this huge two-faceted facility in Louisiana. But why does the concept of these waves matter and why haven’t been able to make a concrete observation till now? But why does the concept of these waves matter and why weren’t we been able to make a concrete observation till now? Well, first you need to understand the concept of space. Space is well like an invisible limitless fabric that encompasses everything present in the Universe. Just like any piece of cloth as the analogy goes, it can twist, shrink, warp and even curve in multiple dimensions, even time itself. 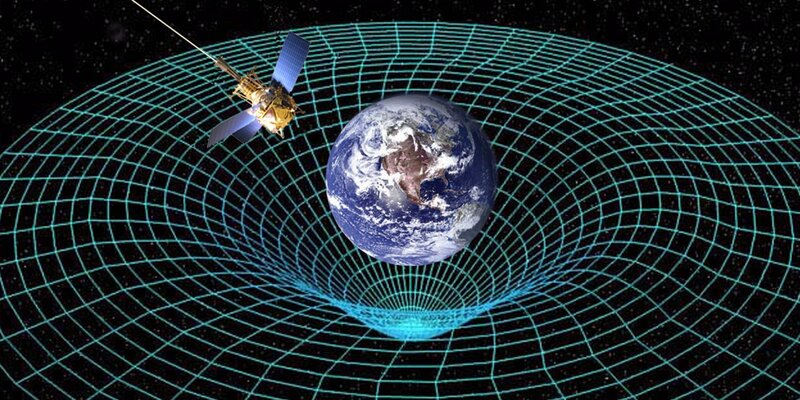 Gravity is one of the things that can bend a space-time continuum and thus essentially effect the Physics in its path. Since Gravity is a weak force of nature as compared to the electromagnetic force, it is tough to detect any ripples caused by it. This is the reason Einstein dismissed recording their existence because their size makes the atom look huge. They are caused by the collision of two elusive entities in space, i.e., black holes and result in ripples in the space-time continuum. Neutron stars and supernovas are also believed to be triggers of such gravity waves but at a much smaller scale than the ultimate gravity monsters black holes. Interestingly enough, the 1974 experiment involved two colliding neutron stars instead of black holes. Plus, they didn’t even collide before our eyes as their eventual crash based on the trajectories was calculated to be around 300 million years in the making. But, astronomers don’t need the actual event to happen in order to make predictions! Russel Hulse and Joseph Tayor were both astronomers who eventually received the Nobel Prize for this discovery. They showed the world that the collision would definitely result in gravity waves since they were already emitting pulsar waves and this kind of meddling with the space-time could only result in bleeding of energy in the form of gravity waves. The energy loss also managed to sit perfectly well with the Einstein’s calculations and thus, their prediction was wildly celebrated around the world. The emission was also named as Hulse-Taylor Pulsars, and they are an indirect way for showing gravity waves exist. Now the LIGO guys have finally made a direct discovery. Szabi Marka, a researcher at the facility, compared the double facility to a set of giant ears that can somehow hear distant sounds in the space-time. Their hearing is so advanced that it can detect insanely small sounds from outer space even smaller than its own composition atoms. Its sensitivity is like being able to tell that a stick 1,000,000,000,000,000,000,000 meters long has shrunk by 5mm! It means that the entire length of Milky Way Galaxy can be reduced to the width of a single pencil eraser! Even with the machine of this level of sophistication hasn’t been able to detect these waves until now and for good reason! The researchers at the premier research organization have successfully sensed gravity waves coming from two black holes located at almost 1.3 billion light years from Earth. 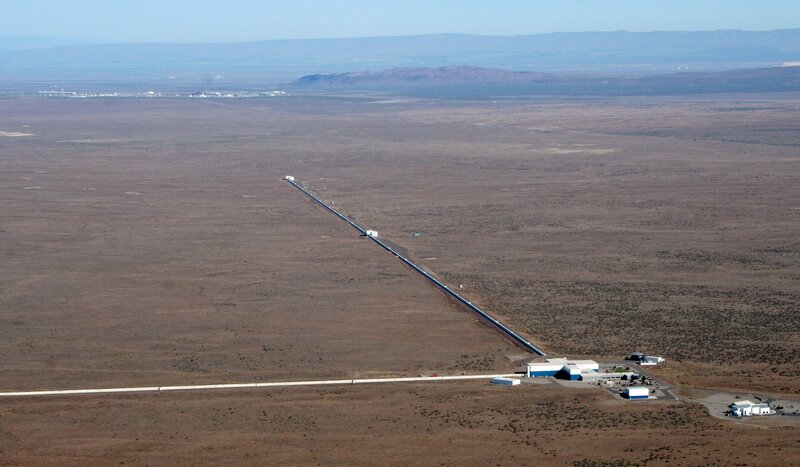 The LIGO facility used 4 Km long Laser beams to measure a ripple whose wavelength is 10,000 times smaller than a proton itself! 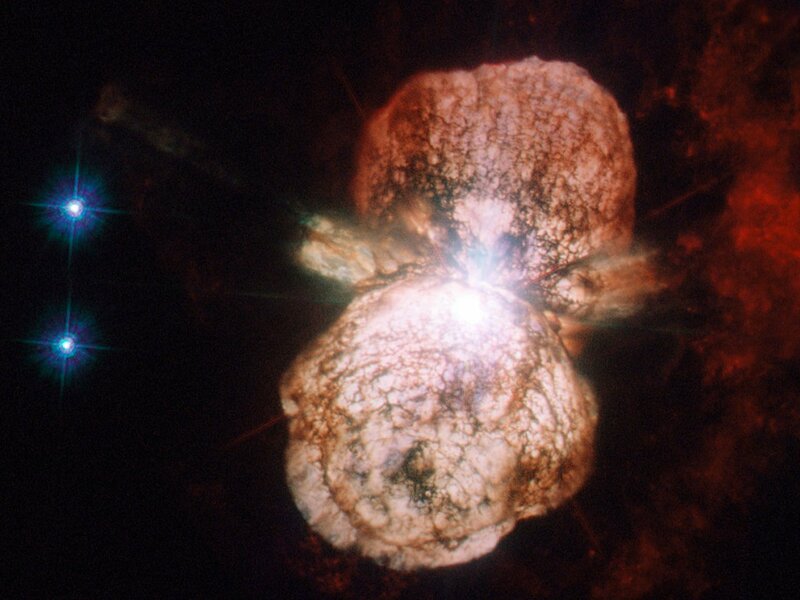 “We can actually hear them go thump in the night!” says Mathew Evans, MIT physicist. It must be amazing to hear such kind of noise. The very sound of space-time resonating around you! But why all this ludicrous space stuff matters? It’s because we can use the knowledge from these waves to predict celestial occurrences before they actually happen and we can record them from our telescopes. It is essentially a way to predict the future of time and what might happen in space! We can calculate the Physics inside of a dying star or the formation of a black hole itself in all its glory. Right now, we can only scratch the surface of the phenomena from our radio and optical telescopes. This new understanding of the anomaly of the basic force of nature will allow floodgates of information to open! Scientists are continuously working on improving the LIGO facility, and its sensitivity will increase in the coming years. The European effort Virgo Detector and Japanese Kagura Facility will also share data with LIGO guys and help each other in this ultimate quest. Here is to a new dawn in the world of not just Astronomy, but fundamental Physics as well. The mother nature has opened the heavens for us! We can find out anything without the limitation of optical or radiational disturbance! We know very little about us. In near future we can make possible a vary awaited thing by using this theory. And that will be a big thing.